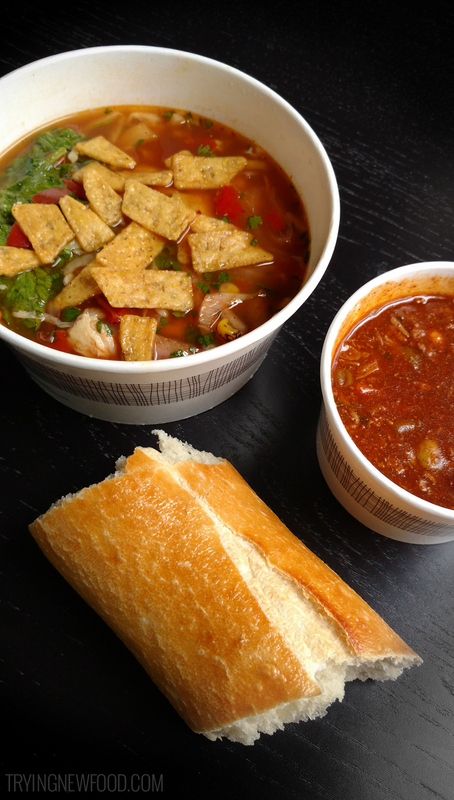 Since we were in a bit of a hurry, we gave Panera Bread’s rapid pick up a shot. 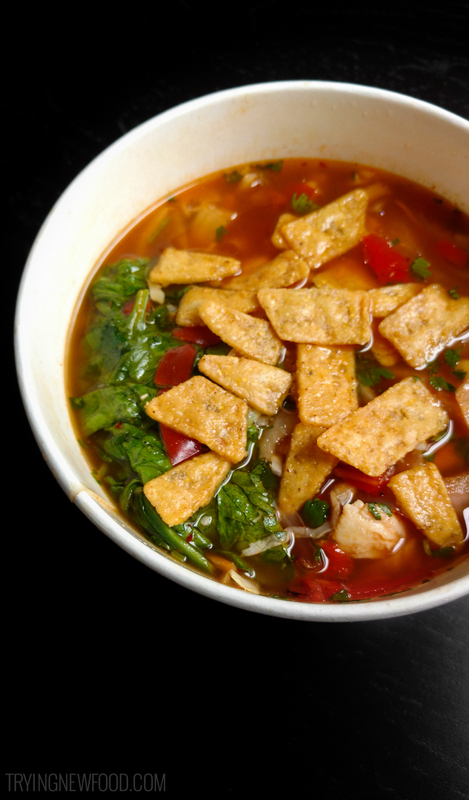 On Panera’s page for the Southwest Chicken Tortilla Bowl, the ingredients listed are “smoked pulled chicken, quinoa tomato sofrito blend, brown rice, spinach, napa cabbage blend, fresh lime, pickled red onions, roasted red peppers, adobo corn and chile lime rojo vinaigrette topped with fresh cilantro and masa crisps in hen broth,” with 480 calories in a bowl. The tortilla chip topping came in a small plastic bag and added a nice crunch to the soup. The soup itself was mildly spicy with a noticeable cilantro flavor. The vegetables were tasty, but the soup overall was a bit watered down. The Turkey Chili was pretty standard. It wasn’t too spicy and had a nice amount of seasonings. There wasn’t anything outstanding to us about their Turkey Chili, but it was nice on such a cold day. According to the Panera page, it has 170 calories for a cup, 260 for a bowl. The Panera Southwest Chicken Tortilla Bowl and Turkey Chili were both okay, but not something we’d start ordering regularly. 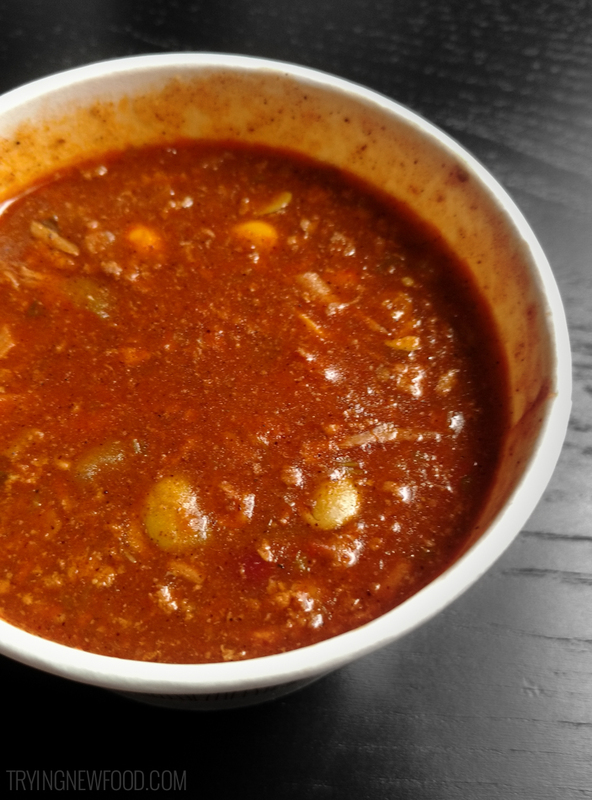 We’d love to hear whether or not you’ve tried either the Tortilla Bowl or Turkey Chili below in the comments!